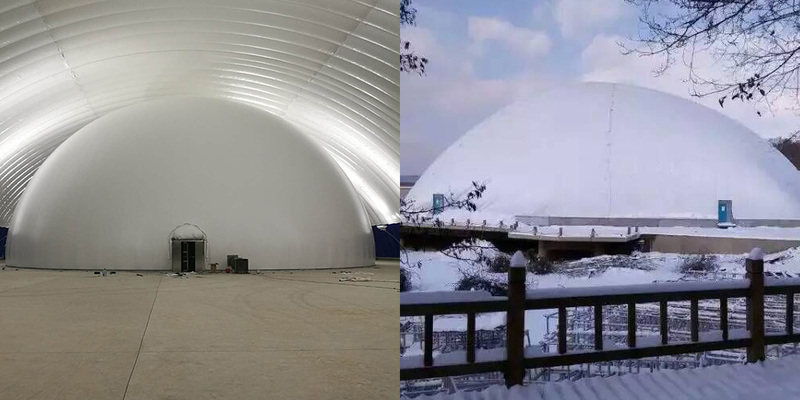 Immersive Experiential is the purveyor of the largest inflatable domes in the world. Our 200′ inflatable projection dome is the largest 360 immersive projection dome and can fit over 5,000 people. 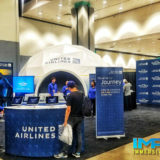 Inflatable Projection Dome Venues: The inflatable dome structure is available in a durable, fire-rated translucent material which allows for seamless full 360 projections to be viewed from both the inside and outside. 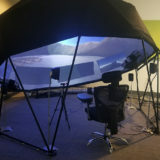 The dome venues can immerse hundreds to thousands of people in an exciting surround media experience. Custom programming is available from our team to provide a unique branded experience for your corporate event, product launch, musical performance or gala banquet. 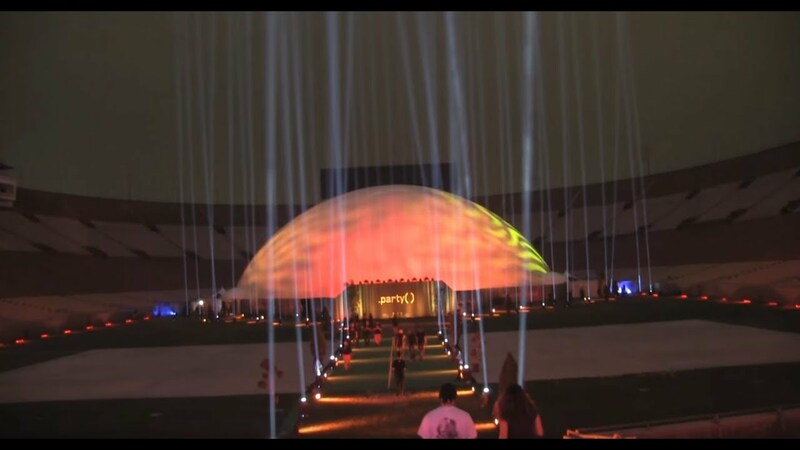 The new 360 inflatable dome projection venue is available worldwide for special events and launches of any kind. Floor Area: 5000 sq. ft. / 464 sq. m.
Power Requirements: 800 amps of 480 volt, 3 phase power with cam-lok. Uninterrupted redundant rollover. Floor Area: 7,000 sq. ft. / 650 sq. m.
Height: 35 ft / 10.67 m.
Volume: 159,894 cubic ft. / 4528 cubic m.
Power Requirements: 1000 amps of 480 volt, 3 phase power with cam-lok. Uninterrupted redundant rollover. Floor Area: 11,300 sq. ft. / 1050 sq. m.
Height: 40 ft / 12.2 m.
Volume: 259,705 cubic ft. / 7354 cubic m.
Power Requirements: 1200 amps of 480 volt, 3 phase power with cam-lok. Floor Area: 20,100 sq. ft. / 1,867 sq. m.
Height: 55 ft / 16.7 m.
Volume: 640,000 cubic ft. / 18,122 cubic m.
Floor Area: 31,400 sq. ft. / 2,917 sq. m.
Height: 70 ft / 21 m.
Volume: 1,279,151 cubic ft. / 36,221 cubic m.
Power Requirements: 1600 amps of 480 volt, 3 phase power with cam-lok.